Shortlisted for Waterstones Book of the Year 2018. The Song of Achilles’ author unspools a tantalising mythological tale of survival, transformation, revenge and women’s fight to be free. In the house of Helios, god of the sun and mightiest of the Titans, a daughter is born. Yet, in the golden halls of gods and nymphs, Circe stands apart, as something separate, something new. With neither the look nor the voice of divinity, and scorned and rejected by her kin Circe is increasingly isolated. Turning to mortals for companionship, she risks defying her father for love, a path that leads her not to the marriage bed but to a discovery of a power forbidden to the gods: witchcraft. Banished by Zeus to the remote island of Aiaia, Circe refines her craft, fate entwining her with legends: the messenger god, Hermes. The craftsman, Daedalus. A ship bearing a golden fleece. And wily Odysseus, on his epic voyage home. As her power increases and her knowledge grows, so Circe must make the ultimate choice: to decide whether she belongs with the deities she is born from, or the mortals she has come to love. 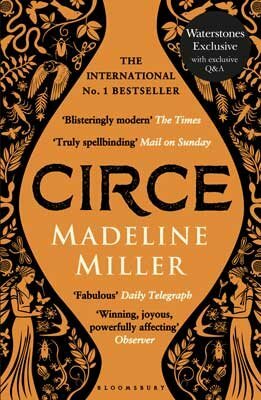 A source of fascination for ancient writers from Homer to Ovid, Circe is a character whose story is steeped in magic and mystery. Caught up in the story of heroes, she is a figure apart, a player in the lives of heroes and gods but one who has never commanded her own story, until now. From the imaginative power that summoned Orange Prize-winning global bestseller The Song of Achilles, Madeline Miller returns with an electrifying take on Greek Myth’s most misunderstood deity. From her tale Miller spins a story of antiquity’s wildest rebel girl, a sun-god’s daughter with a human heart. One of Waterstones’ choices for our Best Books to Look Out for in April, booksellers and customers alike have been swept up by this moving, exuberant novel, translating the male-centred fantasies of myth into something startlingly feminine, real and awake. 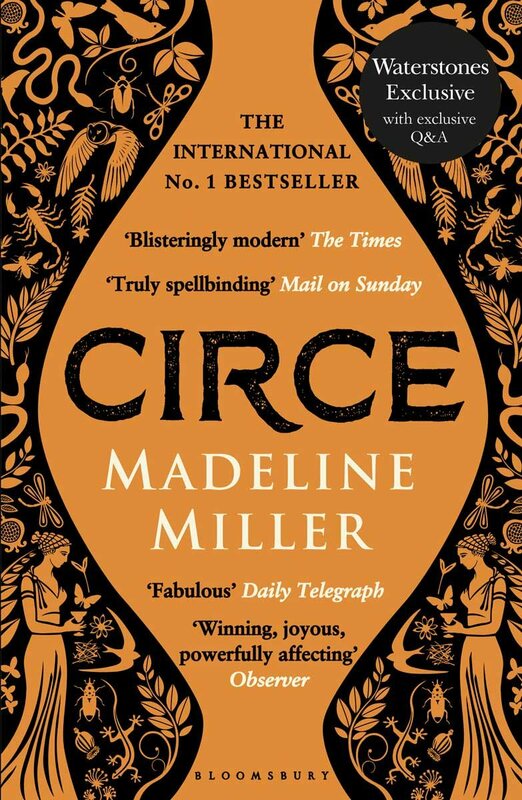 Join us on the final Wednesday of the month to discuss Madeline Miller's Circe. 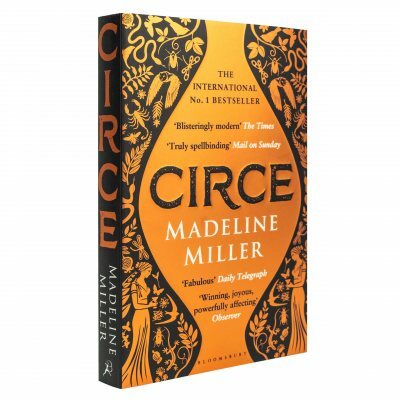 Join us on the 28th April as we launch our book club with the incredible novel, Circe by Madeline Miller. We will be meeting upstairs in Café Nero at 3.30pm. All new members welcome, pop in to the store for further details. An expert in classical history, literature and mythology, American author Madeleine Miller leapt to public notice with her Orange Prize-winning global bestseller The Song of Achilles. Her second novel is an electrifying take on Greek Myth’s most misunderstood deity: Circe. This is a first class story with unforgettable characters,beautiful writing and brings Circe to life. Madeline Miller is a wonderful storyteller and this novel clearly shows her skill. This rich, poetic tapestry is shot through with threads of despair and glints of hope. Intensely engaging in more ways than one. I was lucky enough to receive a copy of this book prior to publication in exchange for an honest review.